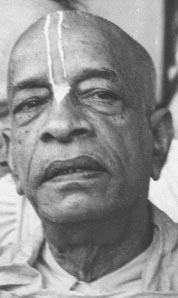 have sent him on Sept.23, 1968 and I thank you very much for your so much sympathy for this Krishna Consciousness Movement. And Krishna will certainly bestow His Mercy upon you, and I pray that you will live long for chanting HARE KRISHNA continuously. Hope this will find you all right in your health and other things.